Transform your space with our intelligent conservatory roofs. Intelligently designed, modern conservatory roof systems that combine advanced technology with exceptional craftsmanship. Choosing our replacement conservatory roofs means you no longer have to compromise on style or functionality. Does your conservatory feel like a separate entity to your Ledbury home? Then redefine your conservatory with one of our replacement conservatory roofs. Our solid and tiled conservatory roofs offer superior insulation to help maintain a comfortable temperature – whatever the season. 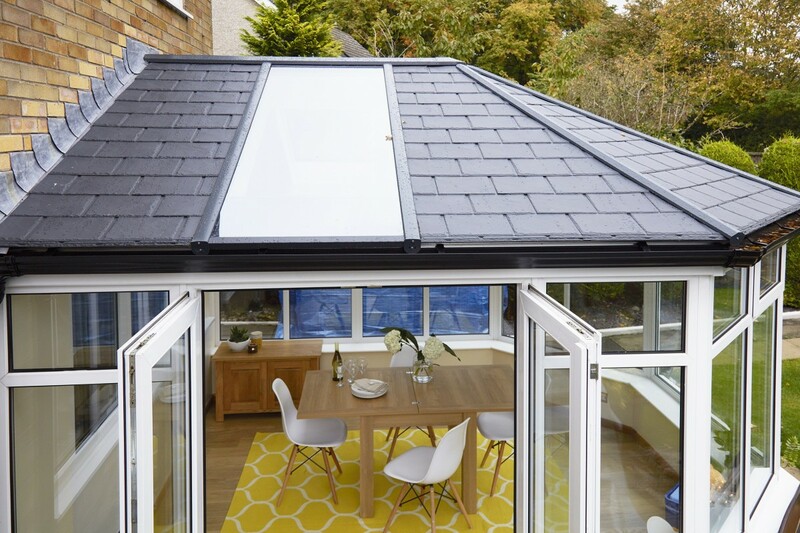 Unlike older style conservatory roofs, our modern roof systems effortlessly combine classic designs with modern performance so you can enjoy the best of both worlds. Transform your conservatory into a liveable room once again. The demand for extra space on today’s property market means your conservatory is an investment well made. However, a neglected conservatory will undoubtedly affect your property value. 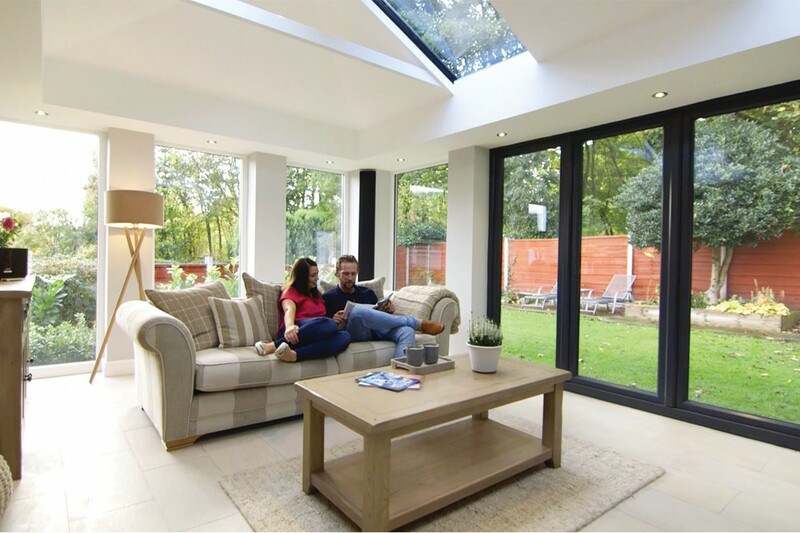 Make your conservatory feel like an extension of your home with one of our modern conservatory systems. Our solid roofs are designed with an internal pelmet that not only helps insulation but means your roof can be fitted with a range of lighting and speaker options. Our conservatory roofs are designed to offer you more. Use your conservatory as it was intended and enjoy a beautiful, comfortable space relax in all year round. We offer the market-leading roof systems from Leka and Ultraframe, allowing you to benefit from the very latest in conservatory design. All our solid and tiled conservatory roofs are designed to provide excellent thermal efficiency and can be customised to suit your specific needs and requirements. We have a great choice of both solid and tiled conservatory roofs. All conservatory roofs are designed to provide superior thermal efficiency and with a range of finishes on offer, you can easily match conservatory roof to home. Depending on your needs and requirements, you can opt for flat panels for hanging lights and the inclusion of speakers. 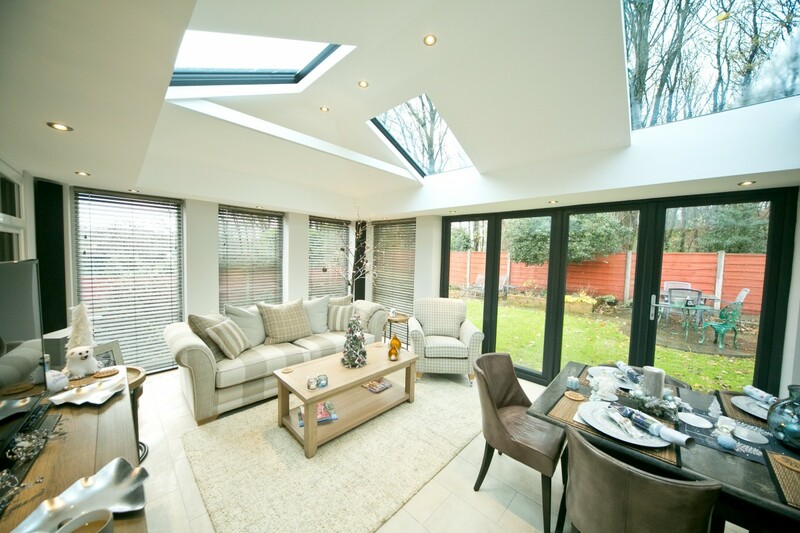 Make your conservatory an extension of your home and living space with our innovative roof systems. Our premium quality solid replacement roofs will help transform your conservatory into a family room once again. Our conservatory roofs available in a range of tiled and slate finishes and offer market-leading quality. Whether it is for a replacement project or new build conservatory, our conservatory roofs will provide exceptional insulation. Our advanced conservatory roof designs allow for the inclusion of lights and speaks. Tailoring your conservatory has never been easier – there’s no reason why your conservatory shouldn’t feel like any other room in your property. From interior to exterior, create a perfect match from our wide range of finishes. Why Choose Our Conservatory Roofs? Energy Efficient – Our conservatory designs offer incredible thermal insulation, achieving the lowest U-Values on the market. Every roof can be specified to match your budget and requirements, with every product promising quality performance, no matter which option you choose. Durable – Our high-performance, solid tiled roofing systems are designed to provide maximum security, offering you total comfort. Increase Property Appeal – Our beautiful selection of conservatory roofs are designed for both traditional and contemporary homes. Available in a wide choice of glazing, colours and tiled finishes, matching roof to home is a breeze. Fully Configurable – Designed with top of the range hardware, you can choose our roofs with confidence. Tested to BBA standards and fully compliant with Building Regulations, our hardware will help increase the performance of your conservatory. Modern Design – We provide the very latest technical designs, featuring modern components, high quality materials to improve product life and performance. Increase light where it’s needed most. Our combined solid and glazed roofing allows for the best of both worlds – brighter and more comfortable living. Versatile, our conservatory roof systems can accommodate a wide range of glass panels so you can focus light where you most want it. Our solid conservatory roofs are built with an internal ceiling pelmet which can be vaulted or suspended – depending on the look you wish to achieve. The LivinROOF is a popular product, giving you the choice of a range of lighting and speaker options. It offers a glazed and solid design for the best of both worlds. If you are after something that resembles more an extension then the LivinROOF should be your first choice of conservatory roof. An additional plasterboard finish is available for vaulted plastered ceilings, blending home and conservatory seamlessly. Benefit from a warmer, more useable space. 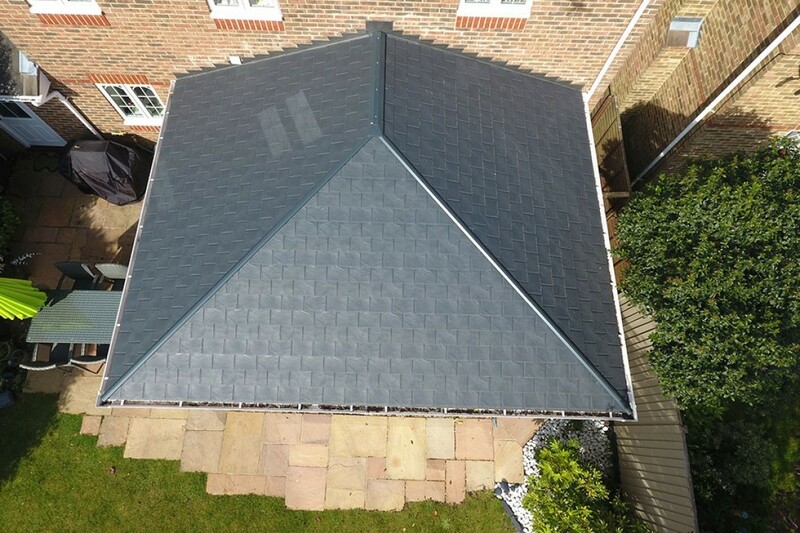 This attractive lightweight tiled roof system combines glazing and slim tiles of slate for a stunning aesthetic and improved functionality. This energy efficient conservatory roof can cater for multiple glass panels or Velix Windows, helping you to achieve a brighter, more welcoming living space. This roof system offers real flexibility and high-performance. Perfect for both new builds and replacement projects, the RealROOF includes the option for high-performance glazing to reduce glare and manage room temperature. These roofs can reach U-Values as low as 0.12 W/ m²K. Regulating the temperature of your Ledbury home has never been simpler. The Leka conservatory roof system is a lightweight solid conservatory option that is available in two realistic tiled roof finishes, offering effective insulation. Offering high performance along with beautiful and long lasting aesthetics, our Leka solid roofs are great choice. Save Energy. A thermally efficient conservatory will help maintain a warmer home, giving you better temperature control throughout the year. Enhance Aesthetics. Our intelligent designs are available in a wide variety of options so whether you opt for fully glazed panels or a solid slated roof, you can match roof to home. Improved Security & Weather Performance – Our roofs are built to provide excellent weather resistance. Get an instant online price for your new conservatory roof, using our free quote builder. Get a guide price in a matter of minutes. Our experts are at hand if you require any help or assistance. Alternatively, you can send a message via our contact page, book an appointment or call us today on: 01684 892 860.